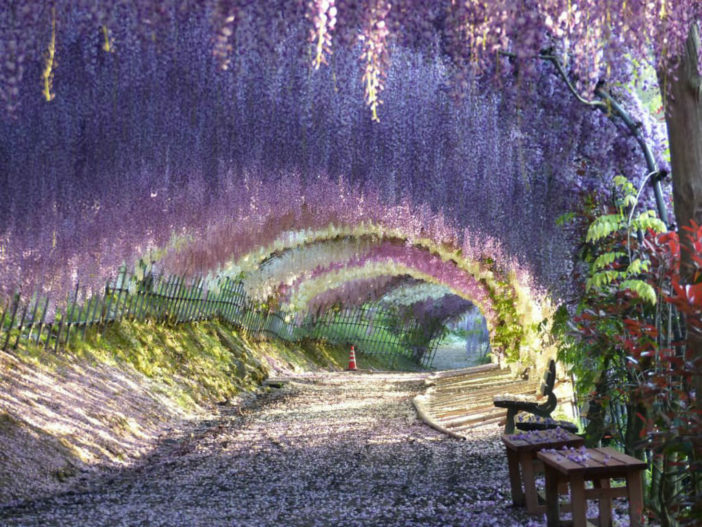 The spectacular views of the Wisteria flowers at Kawachi Fuji Gardens in Kitakyushu, Japan, is another shining example of Japanese perception of beauty and architecture. The private garden hosts around 150 Wisteria flowering plants of 20 different species. 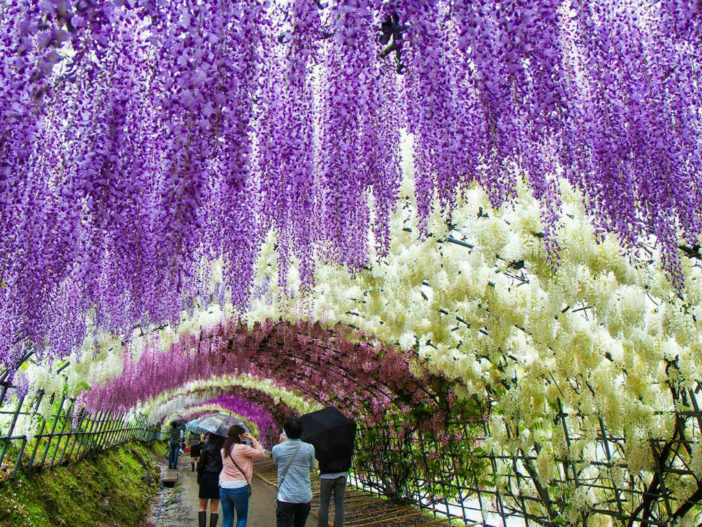 The crown jewel of the garden, however, is the stunning wisteria tunnel, where visitors can walk surrounded by hanging multicolored flowers. 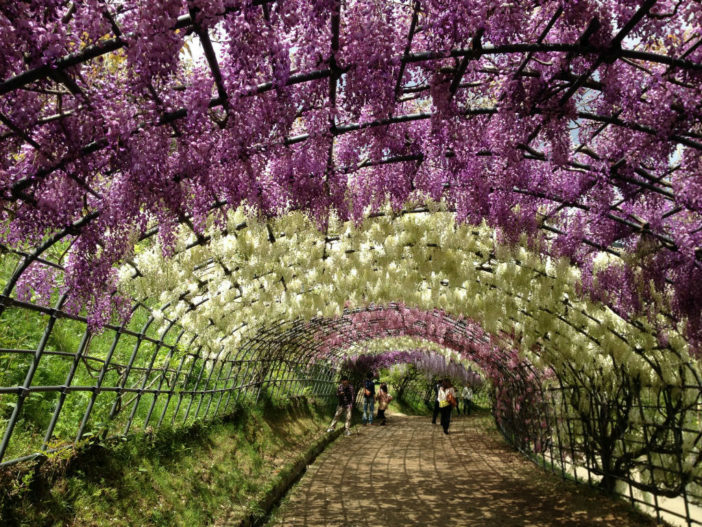 The gardens are located about a 4-hour drive away from Tokyo, and the best visiting time is late April to mid May. At this time of the year, the Wisteria plants are in full bloom. 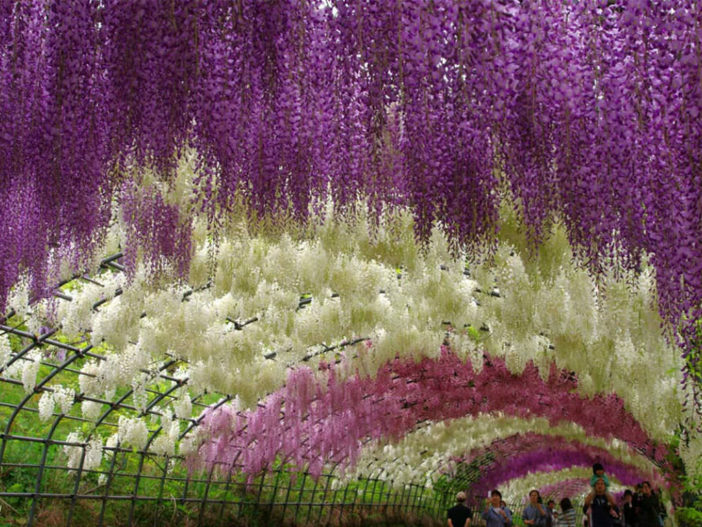 Moreover, an annual “Wisteria Festival”, also known as “Fuji Matsuri”, is hosted on April 27 to 29 to offer additional festivities in the gardens. Once in the gardens, many visitors experience an overwhelming zen-like peace and calmness. It’s no wonder that Wisteria is an important symbol for Buddhists, representing prayer and reaching out to the divine. These metaphors are mostly inspired by the spiraling shape and manner that the flower grows, sometimes reaching as high as 65.6 feet (20 m) above the ground.